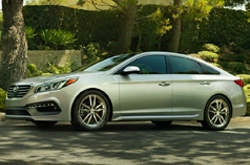 The new 2015 Hyundai Sonata redefines what an economy mid-size sedan can do. Respectable power, refined styling, generous features and solid craftsmanship throughout make this one of the highest valued vehicles on the market. Remarkably well-appointed and well-designed, from the advanced new suspension to the technologically superior safety features, the 2015 Hyundai Sonata in Carrollton delivers a safe and comfortable ride at an affordable cost. Continue reading our 2015 Hyundai Sonata review below for a detailed breakdown of this exceptional mid-size sedan. Available with 4 exciting trim levels (5 if you include the Sonata Hybrid) and three distinct powertrains, the 2015 Sonata is equipped with the muscle to get you there faster and the efficiency to save you more at the pump. The standard 2.4-Liter GDI 4-cylinder engine delivers an impressive 185-horsepower, and in the Sonata Hybrid, a 2.4L MPI Theta II Atkinson cycle 4-cylinder engine with fully parallel Hybrid Electric Vehicle system boasts up to 40 MPG highway. For an even more satisfying ride, with increased capability and power, the Sonata Sport 2.0T's twin-scroll turbocharged engine further improves combustion efficiency and minimizes lag. A rigid chassis upgrade on the new Sonata improves cornering, and soundproofing materials built into the cabin help reduce road noise for an insulated, quiet ride. For unmatched feel and response, the 2015 Sonata's reinforced front and rear suspension delivers enhanced steering control, handling capability and stability. And with the new radar-based safety options, the 2015 Hyundai Sonata in Carrollton helps increase driver awareness to reduce collisions and improve the road for everyone. These safety features and more have helped the Sonata to earn a spot as an IIHS Top Safety Pick. Continue reading our 2015 Hyundai Sonata review below for additional details, including cargo capacity, fuel economy, vehicle comparisons and a 360-degree video tour. Or stop by Van Hyundai today to test drive the 2015 Sonata and Sonata Hybrid, conveniently located off the I-35 freeway in Carrollton. 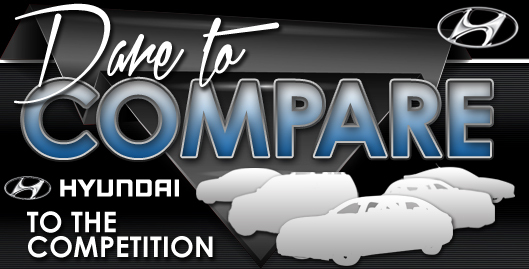 Compare Hyundai's latest model of the Sonata to its rivals and we're condifent that you'll choose it over vehicles like the 2015 Ford Fusion, Nissan Altima, Kia Optima, Toyota Camry and the Mazda 6. Just a few of the qualities that shoppers in TX will be won over by are the Sonata's exquisite styling and low price. Hundreds of Dallas Hyundai drivers choose it because it's a phenomenal value; just compare its price to the vehicles in its segment. See our facts list to learn more about the Sonata - bullets below this text. 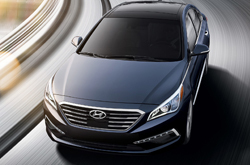 Now that you've read the 2015 Hyundai Sonata review above, please contact Van Hyundai for a test drive. We are a chief Hyundai dealership in Dallas, and it's our duty to present you with reviews created by some of the most skillful automotive writers in the industry. Everything you need to know about the Sonata and other Hyundais is right on our site. Each article is brimming with vehicle specs and worthwhile material pulled directly from Hyundai and other sources you can be confident of to give you factual info. 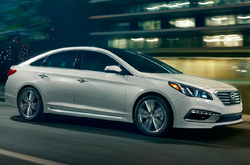 After viewing our review of the Sonata, find out about great short-term lease offers that'll help you lower the price on your purchase at our Hyundai dealership in Dallas.